Lane Bridge Villa is a villa housing estate located on Xiangjiang Beilu, 400 meters off the Airport Expressway, Bei Gao exit; Near Quan Fa Garden Villa and Cathay View Villa; The apartment you rent in Beijing is a 10 minutes drive to downtown (Lufthansa area), a 25 minutes drive to Beijing CBD, and a 10 minutes drive to the airport. 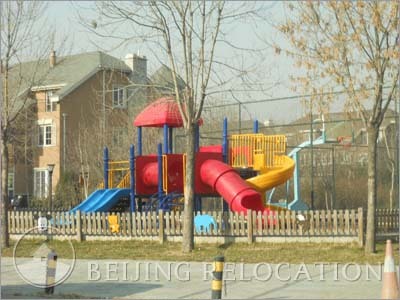 However a bit isolated, it is still a reallt greta choice for an accomodation in Beijing, family friendly with a good price for money. Lane Bridge Villa is composed with over 150 lake villas. Lane Bridge Villa has a lake and little forest next to it. There are classic and modern styles for people with different tastes. 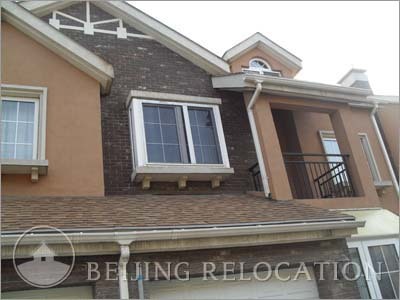 Overall a great choice of housing in Beijing. Do not have others properties in this compound. Lane Bridge is a lovely community perfect if you are moving to Beijing for a few years with kids. 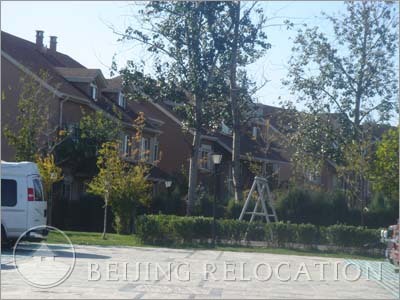 You can enjoy the city when you want but here you will have big gardens, safety, facilities such as schoolbus, sport club and supermarket. You will not notice a big change which is important to adapt better. We had a great time in China and we finally obtain the perfect balance between our life style and the Chinese culture.